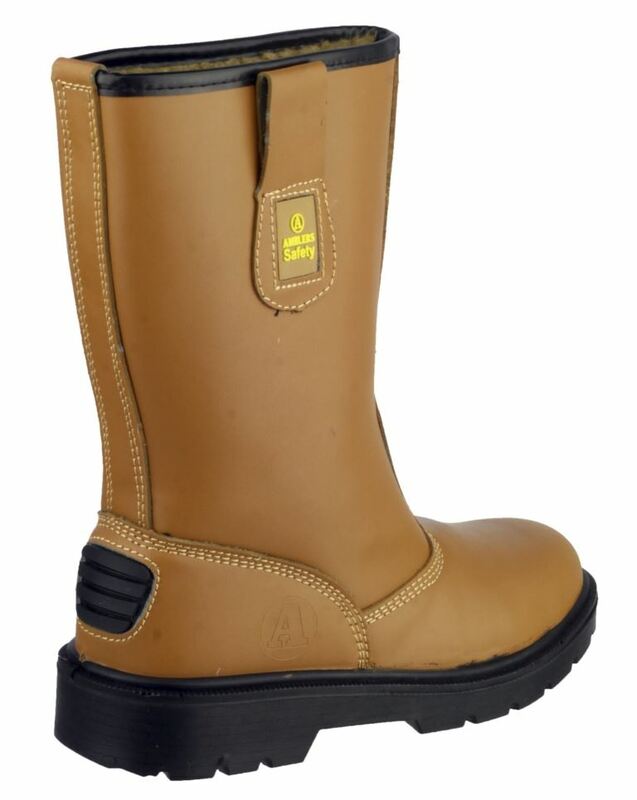 The Amblers tan safety rigger boot, fur lined, with steel toe cap is perfect for protecting the wearer in numerous working settings and environments. It incorporates anti-static, slip resistant properties along with heel energy absorption for comfort during long periods of standing. 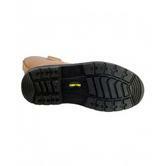 Manufactured from polyurethane dual density sole and smooth action leather upper, they are also water resistant. Pull on loops make it easy to fit. Complies to EN20345 safety standards. (SRC) Slip resistance on ceramic tile floors with sodium lauryl sulfate and slip resistance on steel floors with glycerol. Puncture resistance to safeguard the wearer against spikey hazards underfoot. 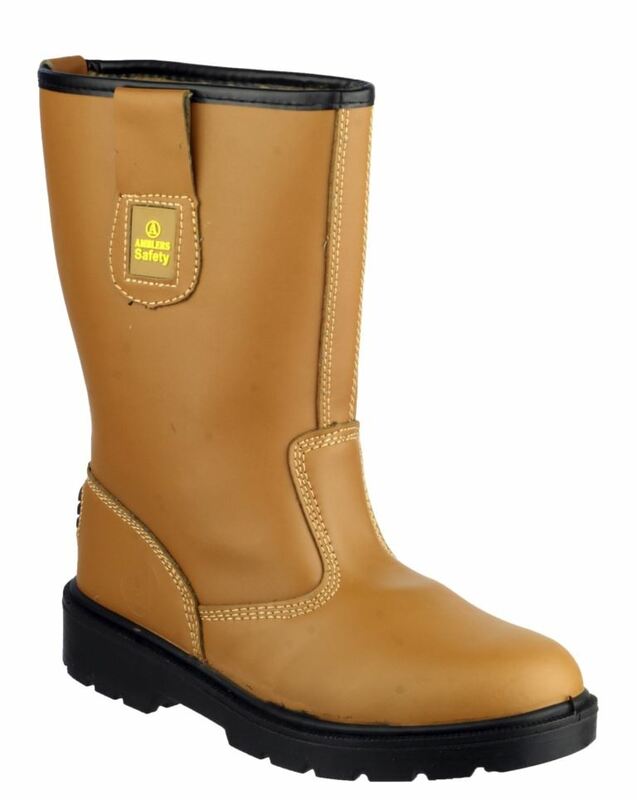 Water Penetration and Water Absorption Resistant Upper: keeping your feet dry. Looking for more? 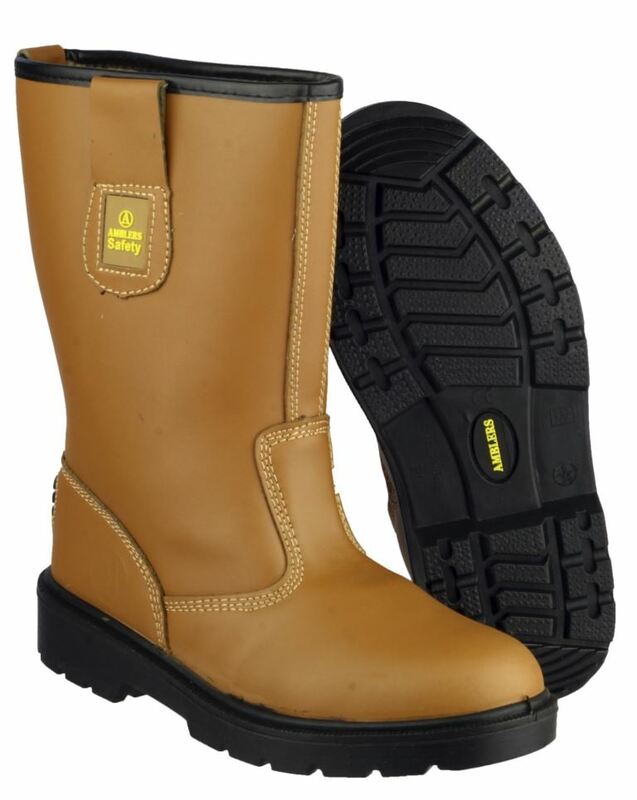 You can also view our ESD Safety Footwear. Or you might be interested in our Flame Retardant Jackets Category.